What a great location for this tastefully decorated 2 bedroom plus den/office condo. Greatroom with fireplace and vaulted ceilings is open to a dining area. The equipped kitchen has cherry cabinets, pantry, and a breakfast bar. The Spacious Master has two walk in closets and a private bath with walk in shower. The second bedroom also has a walk in closet and close access to the hall full bath. There is a covered balcony and 1 car attached garage plus a designated parking space. Large storage closet in the hall. Updates include Armstrong laminate flooring in Tropical Cherry throughout and replaced light fixtures and fan. 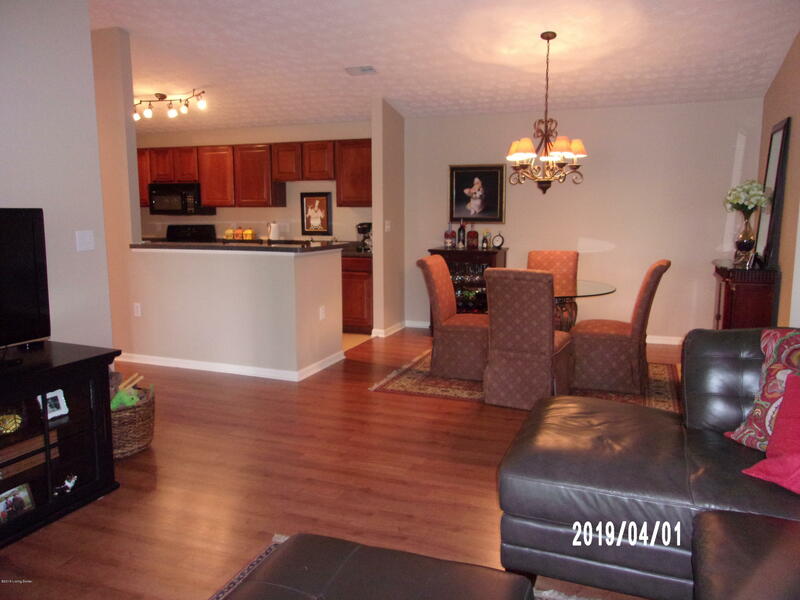 Move in time to enjoy the clubhouse, pool, tennis court, and fitness room.